Every month at Union Plaza Business Center we host a networking lunch for full-time members, virtual members, interested businesses, and friends to attend. We love the opportunity to show off the business center and introduce fellow Oklahoma City professionals to each other. March was a celebration of Dr. Seuss’ birthday month! 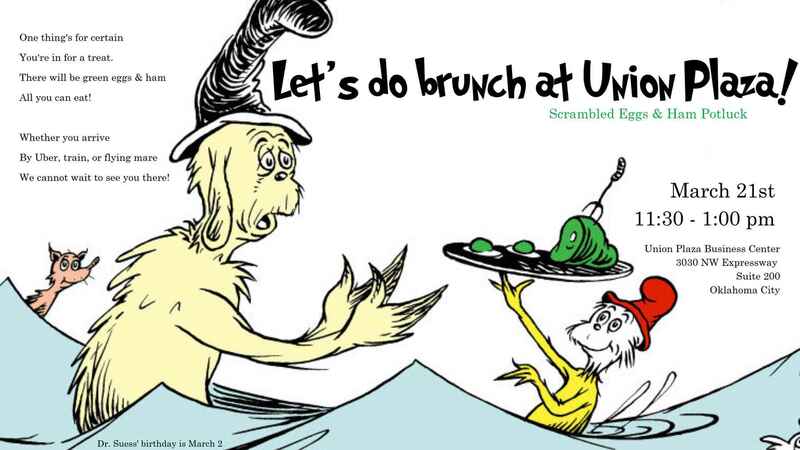 Our “Green Eggs … Continue reading Let’s do Brunch at Union Plaza!